Yesterday the owner/builder of SolAria, Maveryck Breen, was so kind as to invite me to SolAria, as he has been rebuilding and redecorating the place. 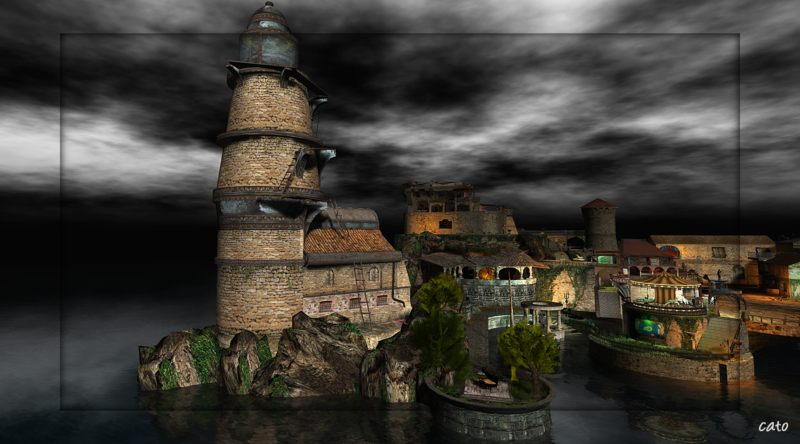 I always enjoyed this sim and have visited many time the past year and blogged about it in January 2012. So this morning I tp’ed to ‘The Sunland’, as the new addition to the name is now. It is still SolAria with its lovely square at the landingpoint and pittoresque buildings surrounding it, as well as the streets with shops and houses, but that is all a bit smaller now. 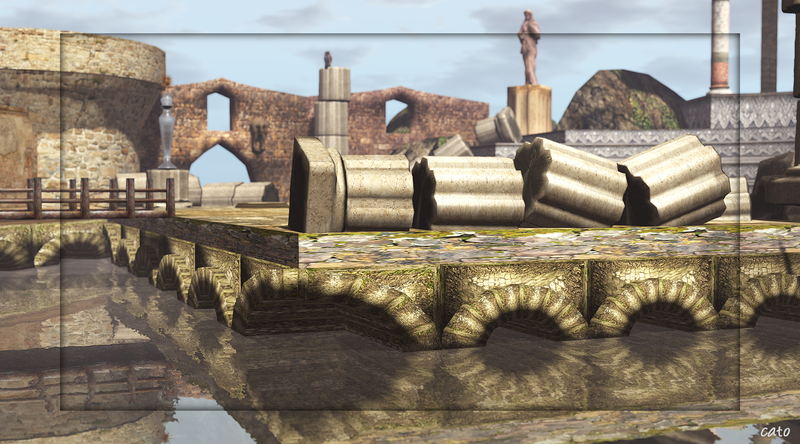 There are new buildings added, a kind of Fort or Castle and you will find some ‘non playing characters’, mesh avatars (non operated) that are basically statues, here and there which gives it a nice touch! It is a wonderful place to explore walking, rather than flying around!, to find and enjoy all the details in decorating! Thanks for the compliment Maveryck! And I want to thank you for providing such a lovely place for all to enjoy! Thanks Bumblebee! 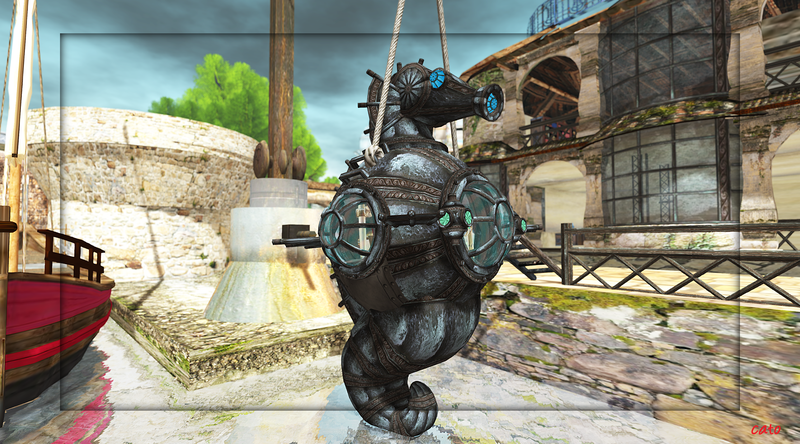 The place is gorgeous and that seahorse a real eyecatcher indeed!